Anthony's kindergarten had a field trip yesterday, so the pickup time and location were different from normal, this time near the spot in Kyoto where the Kamo river joins the Takano River to become (oddly enough) a different Kamo River. 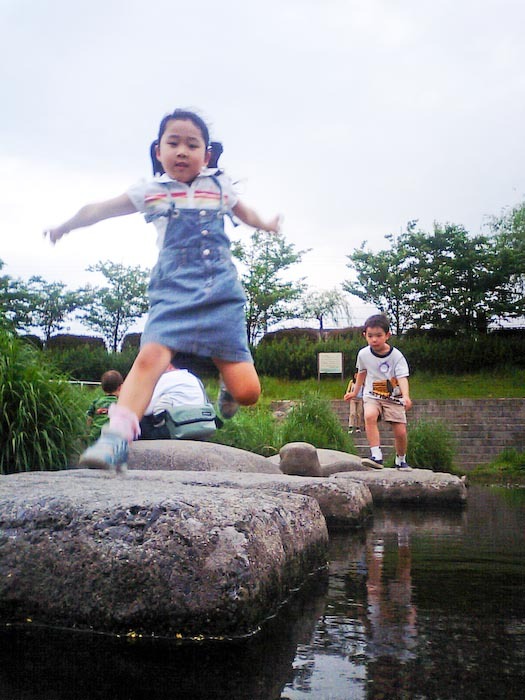 He wanted to play more, and his friend Akiko-chan hadn't left yet, so we decided to go down to the river together to play. 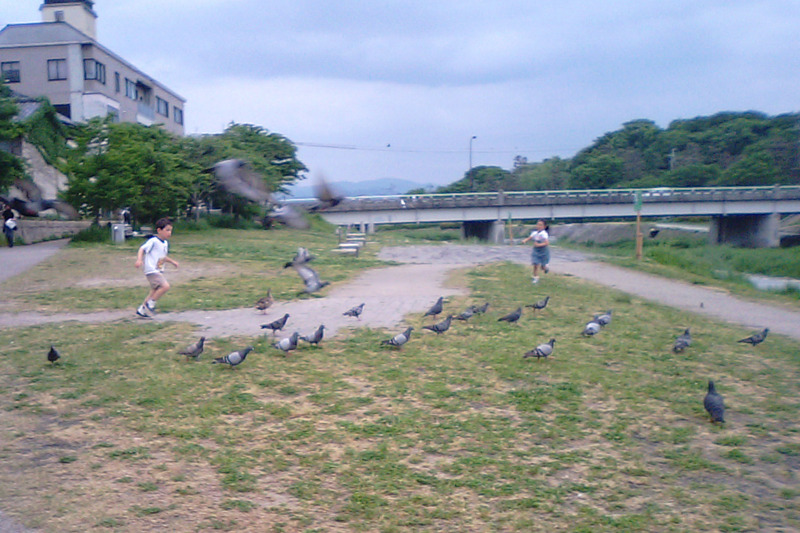 I didn't have my nice camera with me, but I took a few snaps of the fun with my cell-phone camera. 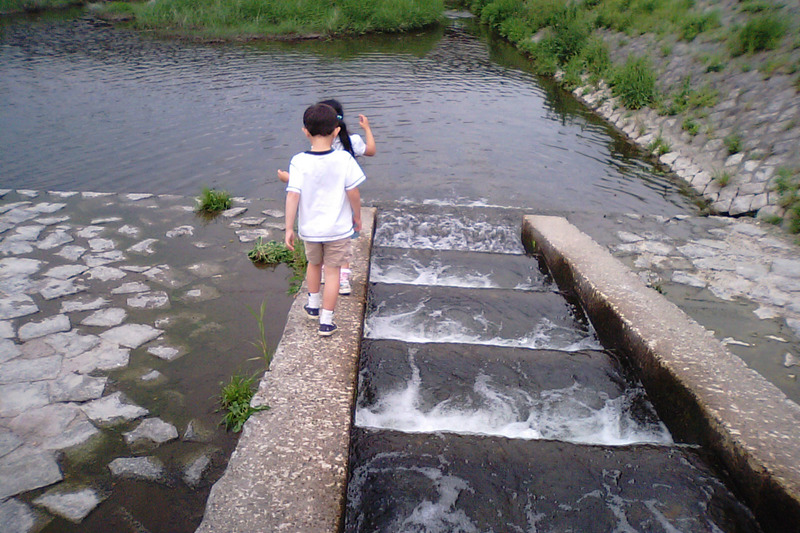 Akiko-chan's mom and I spent much of the time yelling “nooooo, not in the water!” as they ran around a part of the river that was usually wet, but today was (mostly) dry. 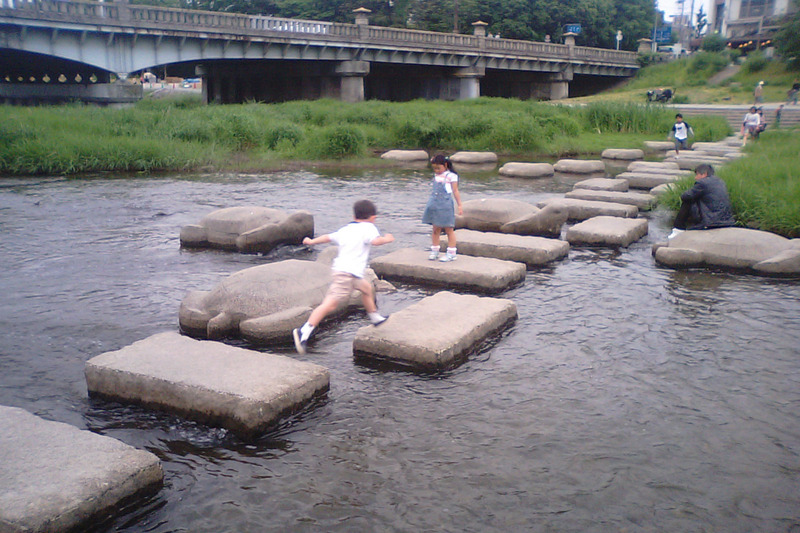 They then moved a bit south to just north of Imadegawa St., to where huge stepping stones allow people to cross the wide river. 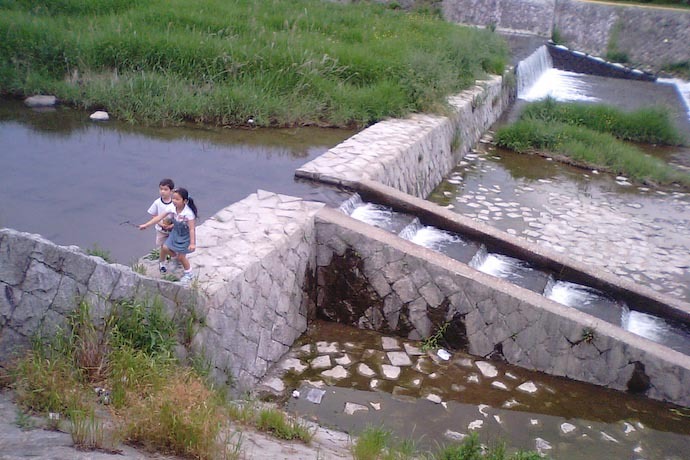 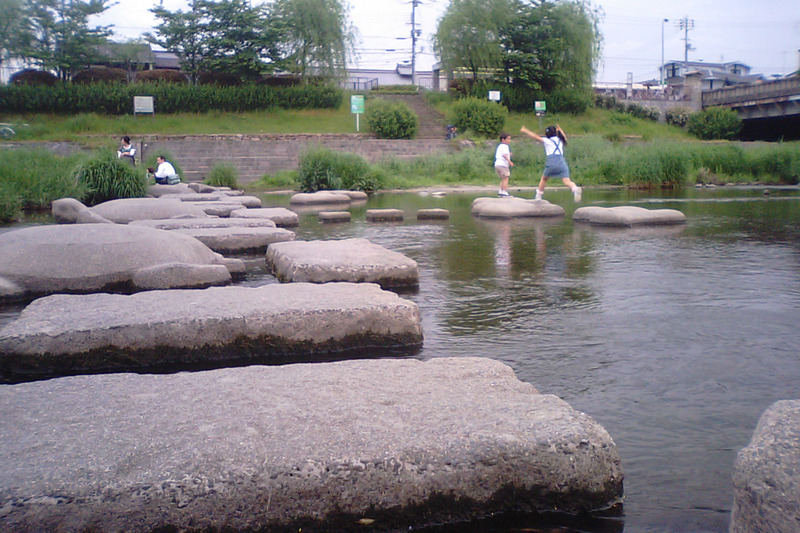 There are a number of places along the rivers that run down the eastern side of Kyoto where these large stepping stones allow people to cross and kids to play. 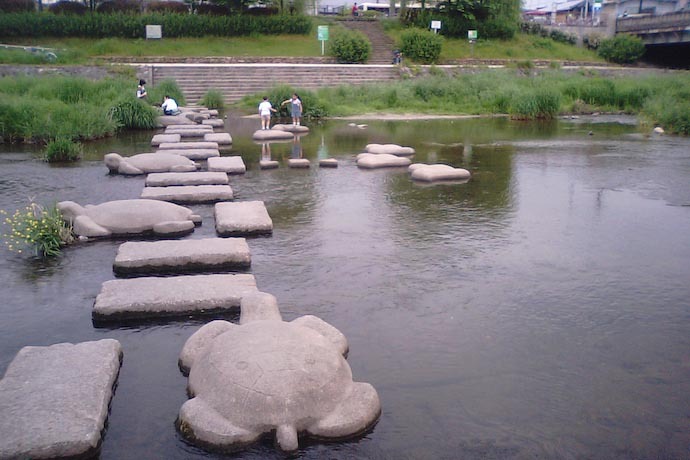 They're set such that the rectangular ones are normally just out of the water. The river was really low at this point so they're all well exposed, but it rained last night and when I went this morning, they were completely submerged. Last month I posted some shots from this area, including some of the stepping stones when the water was just a touch higher than normal. 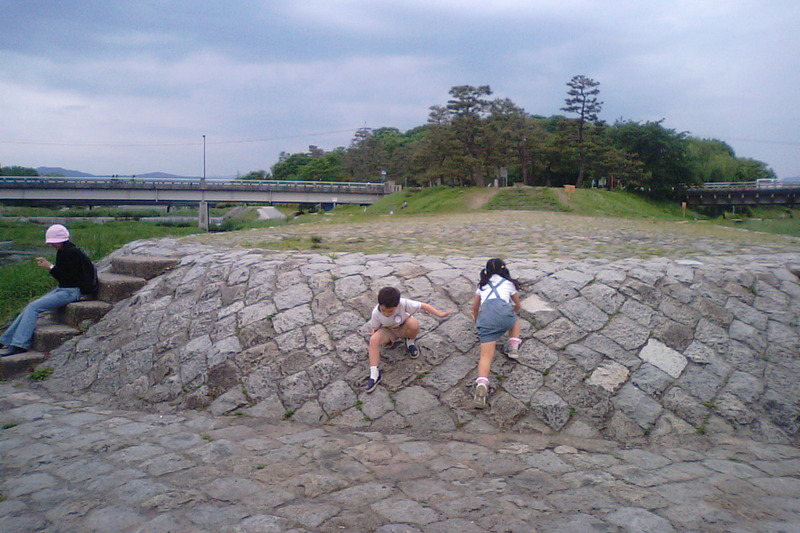 It started to rain lightly, so we moved under the Imadegawa Street bridge, and they had great fun throwing rocks at other rocks in the dry bed of this part of the river. While the kids played, I couldn't help but noticed how little steel joined the various clumps of rust in parts of the bridge. 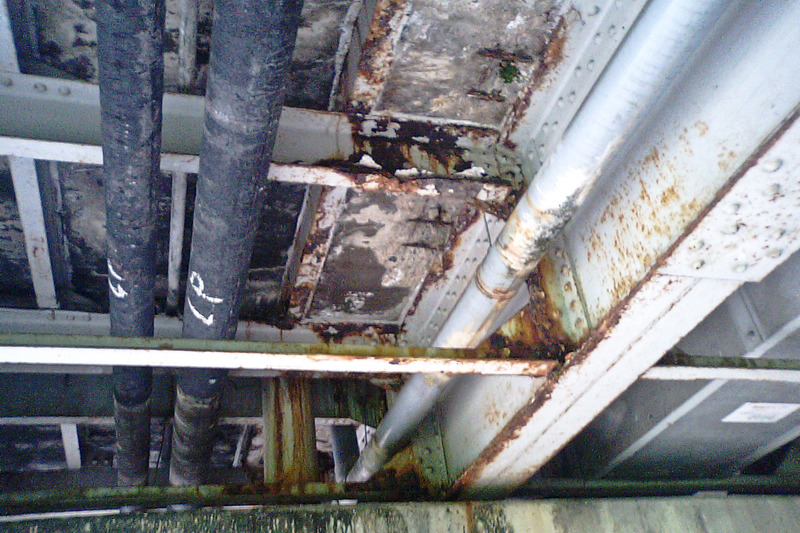 Most of the underside was fine, but some parts were highly rusted. 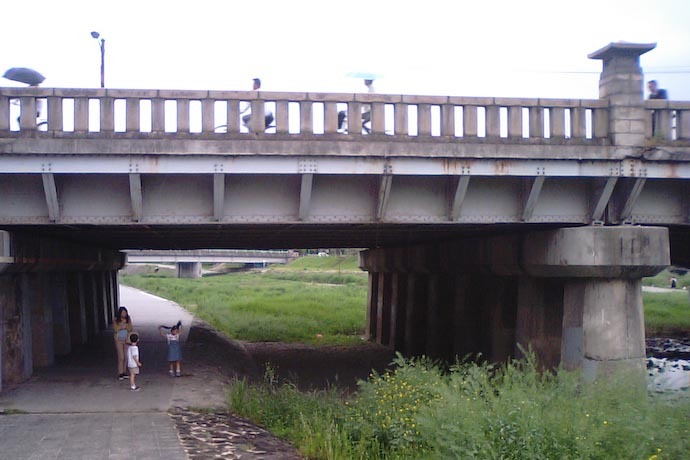 Luckily, the bridge did not fall on us, and indeed, he slept well last night. 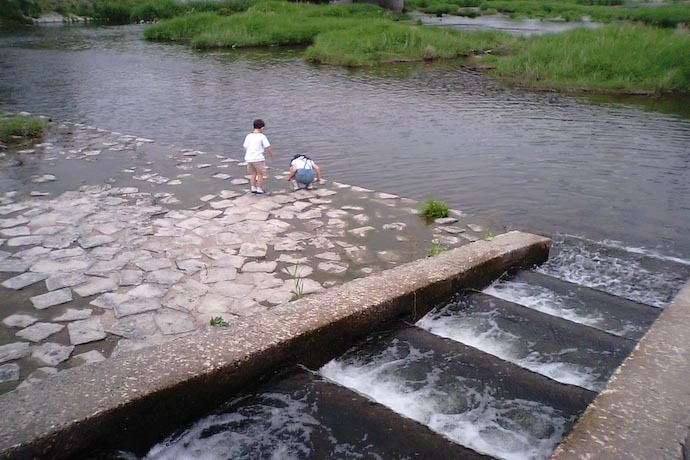 One shouldn’t go there right after a rainfall but otherwise the water is shallow. 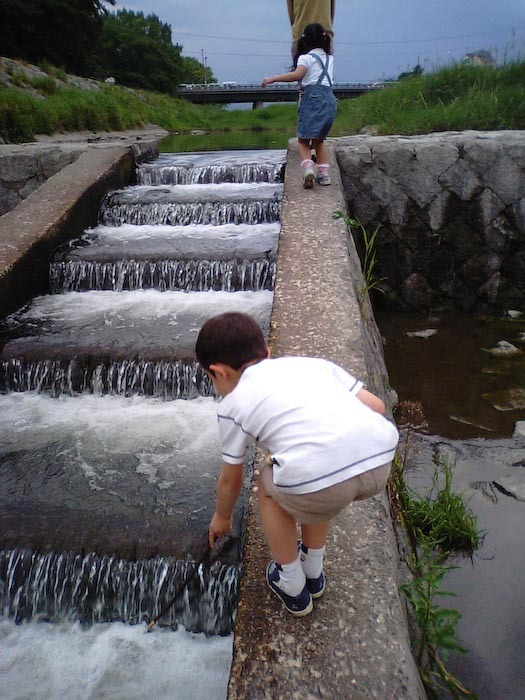 And in summer it’s no problem to get wet as it’s so hot.